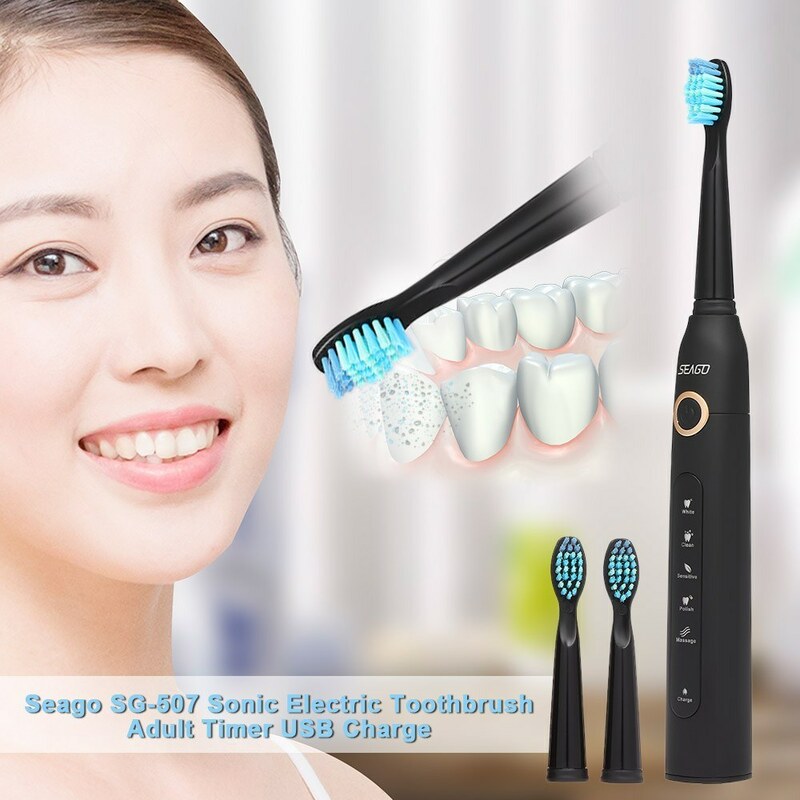 This Seago SG-507 Sonic Electric Toothbrush is of high-grade quality, 5 selectable modes meet you various needs of cleaning and whitening your teeth. 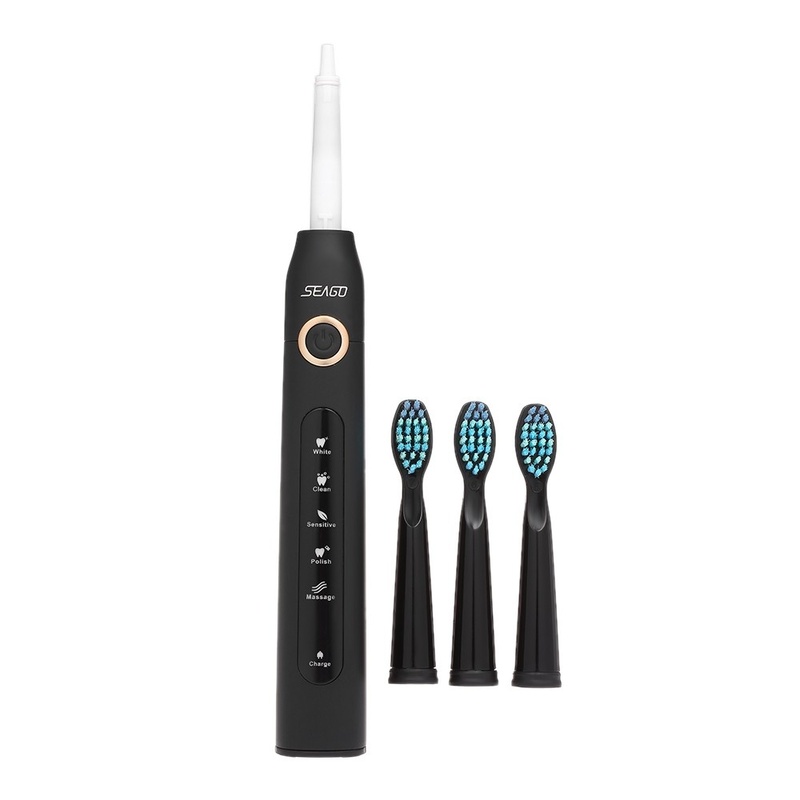 Come and have a try now! 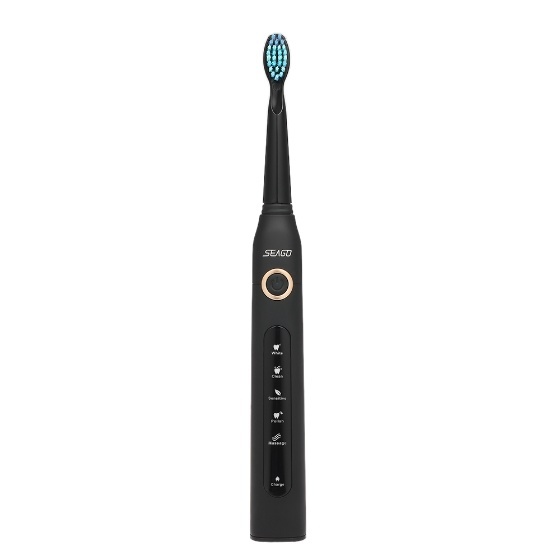 The sonic SG-507 is up to 40000 micro-brushes per minute, high efficiency. 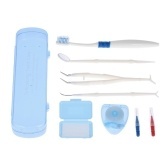 5 selectable modes meet you various needs of cleaning and whitening your teeth. 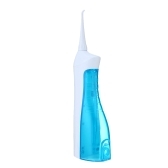 The small toothbrush head make the oral cleaning more flexible and effective. 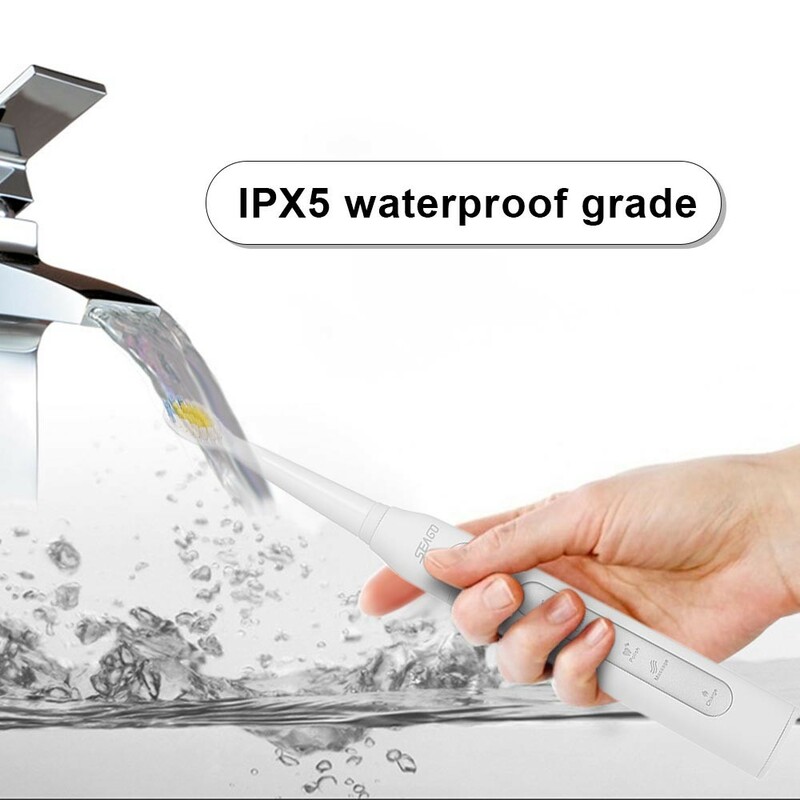 IPX5 waterproof grade, 2-minute smart timer offers non-abrasive cleaning. 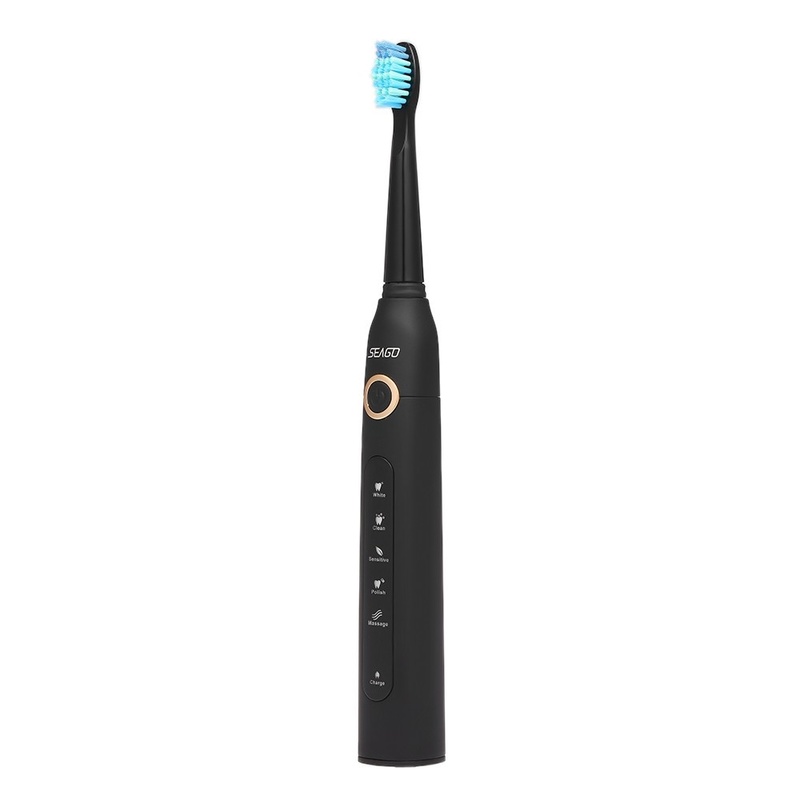 Ultra comfortable toothbrush handle, anti-slip and soft handling. 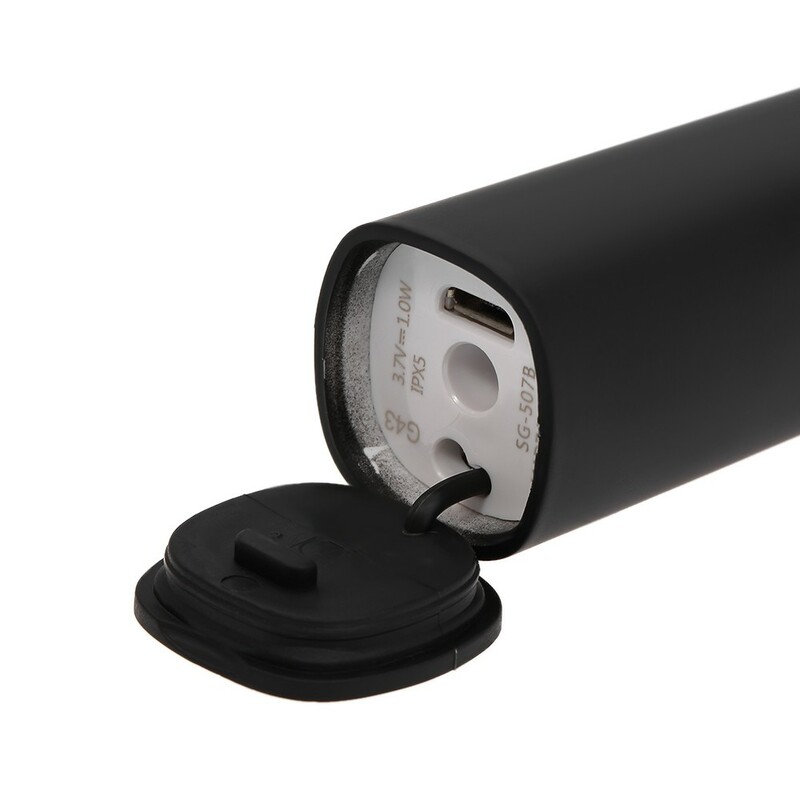 USB rechargeable, a full charge will provide you up to 4-week using. 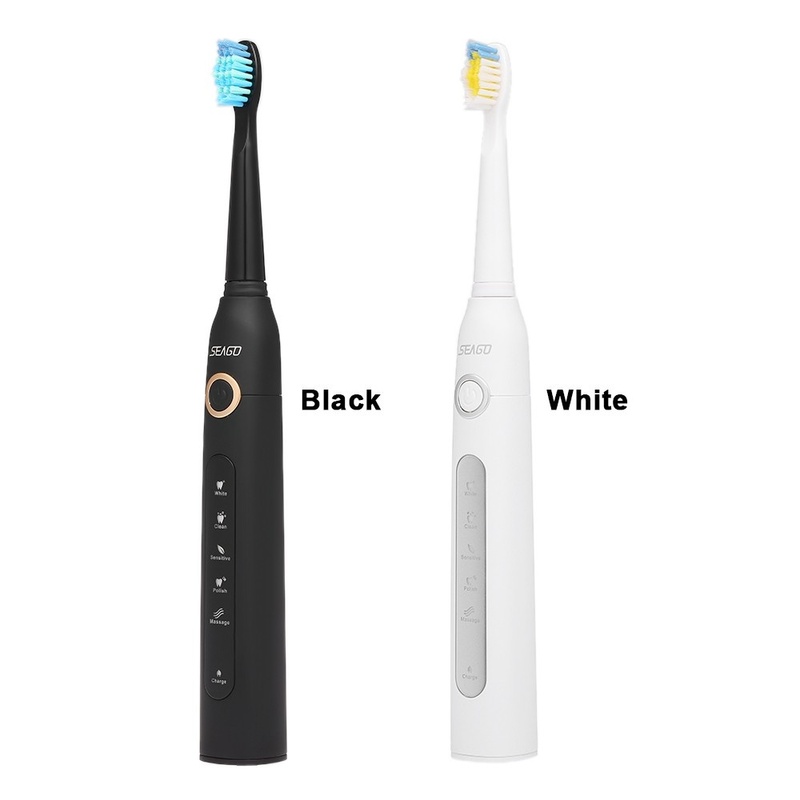 White: Offers to remove those hard to remove stains, for ultimate cleaning and whitening. 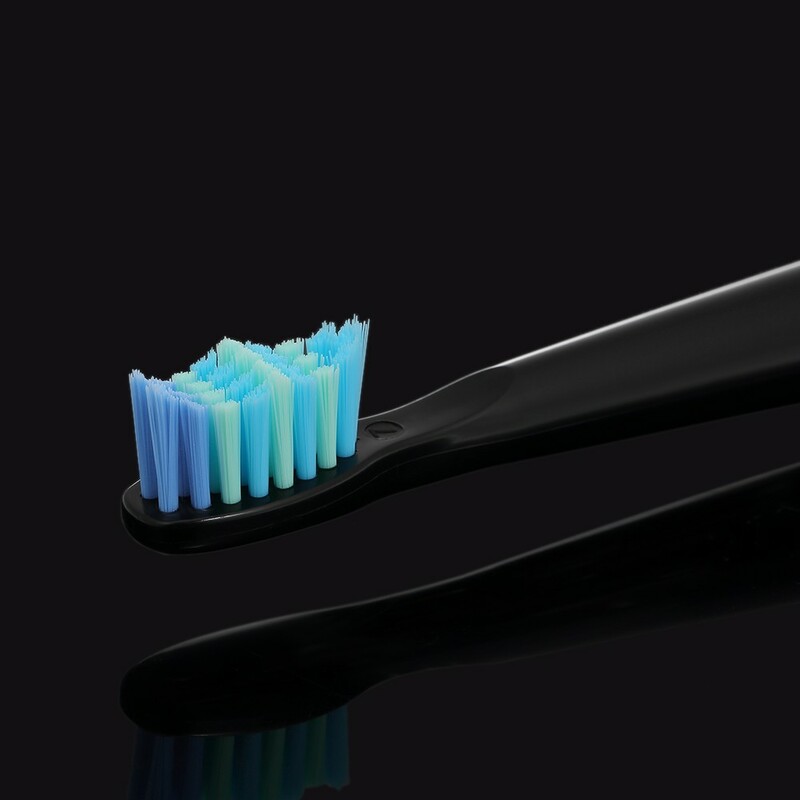 Clean: Standard everyday cleaning mode. 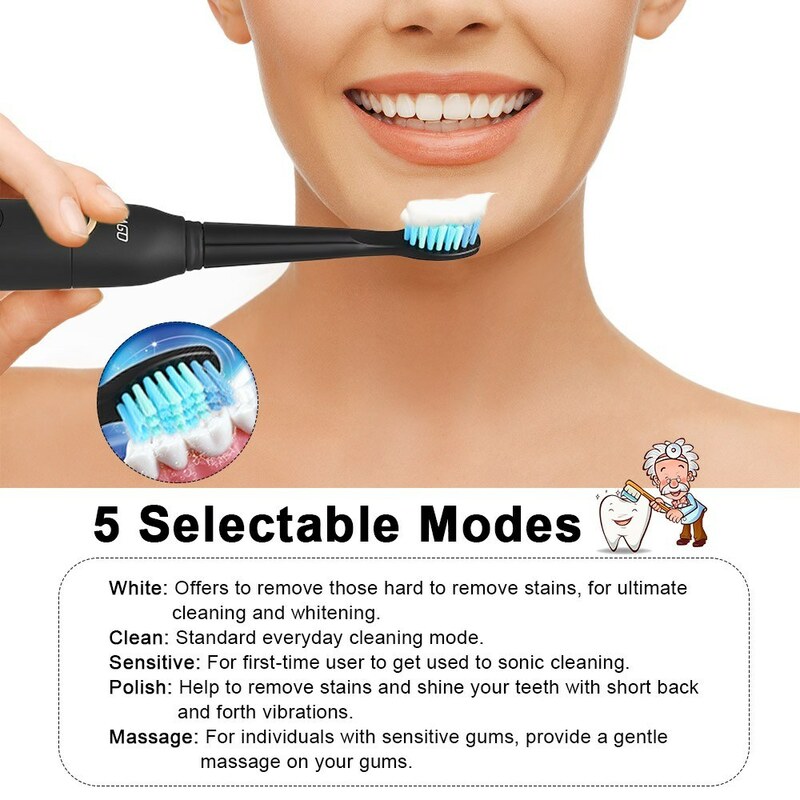 Sensitive: For first-time user to get used to sonic cleaning. 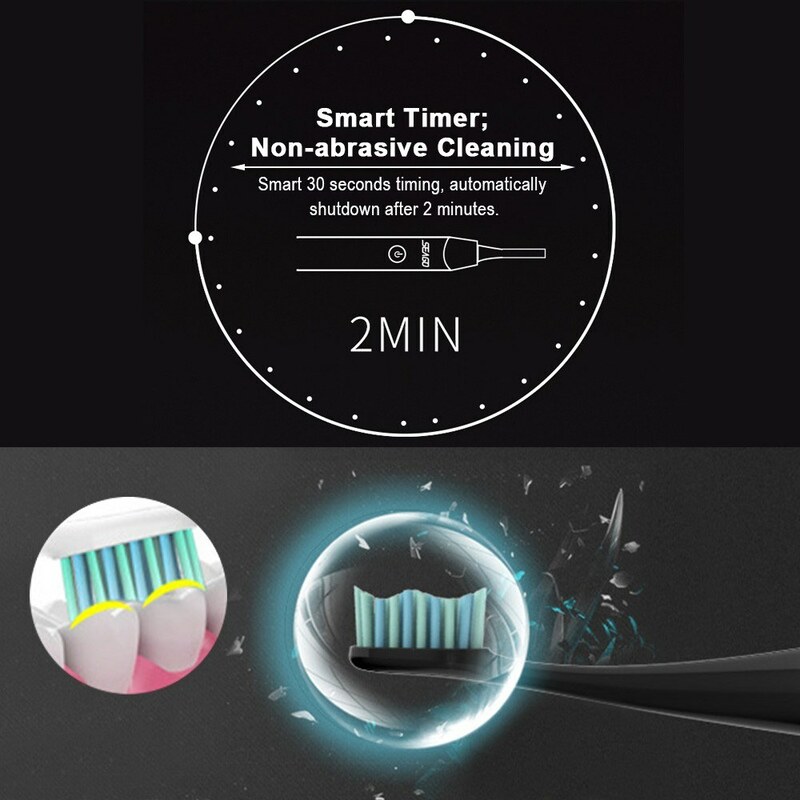 Polish: Help to remove stains and shine your teeth with short back and forth vibrations. 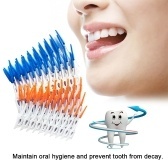 Massage: For individuals with sensitive gums, provide a gentle massage on your gums. very good. 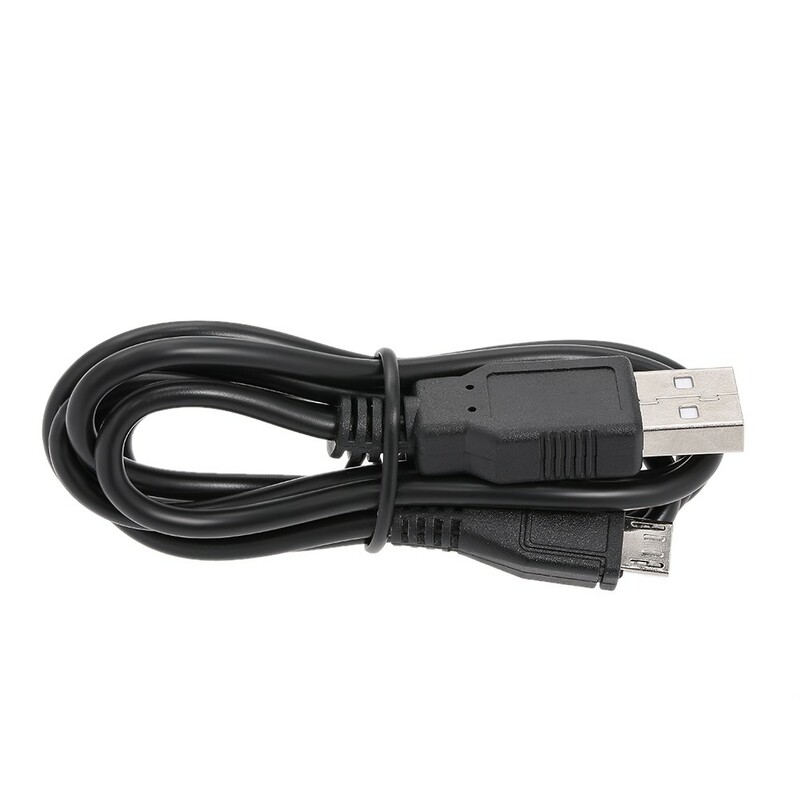 work very well for me.